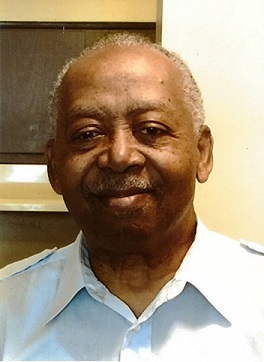 Obituary for Terrence Glover, Sr. | House of Wheat Funeral Home, Inc.
GLOVER, Sr., Terrence “Terry”, age 78, born January 12, 1941 in Dayton, passed away Friday, April 5, 2019. Terry’s spiritual legacy began roughly in 1973 leading to his baptism in July 1975. He had a great love for the preaching work, sharing Bible knowledge, talking about Jehovah God and attending the meetings at the Kingdom Hall of Jehovah’s Witnesses. Terrence had a great love for commenting at the meetings and instilled this love in his family, making the meetings and the ministry a huge part of the Glover home.Preceded in death by mother, Vivian Jackson; father, James Glover; brother, James E. Glover. He leaves to cherish his memory his wife, Ruby Glover; sons, Terrence Jr. (Mia) and David (Sandy) Glover; daughters, Gaila Ester, Vickie (Michael) Wheatley, Tracie (James) Dixon, Kellie (Joe) Magby; brother, Raymond (Rosezella) Glover; aunt, Dorothy Baker; a host of grandchildren, great grandchildren, other relatives and friends. Memorial service 1 pm Thursday, April 11, 2019 at the Kingdom Hall of Jehovah’s Witnesses, 1530 N. James H. McGee Blvd. Calling hour 12 noon at which time family will receive friends. Arrangements entrusted to House of Wheat Funeral Home, Inc.